We’ve devised a team of the best players from 2001 to 2018 however, only one player per year is allowed. Players were picked based on form in that year and creating the most balanced team possible. Enright’s 2009 was up there as one of the 232-game Geelong champion’s best seasons in AFL. Enright dominated for the Cats in a year that would ultimately bring about the club’s eighth premiership, winning a second straight All-Australian award and his first “Carji” Greeves Medal. Joining his fellow Geelong teammate in the defence of our “Team of the Century” is Scarlett, who’s 2007 season was of particular note as being one of the best defensive seasons that we’ve seen in the 2000’s so far. In 2007 not only did Scarlett win All-Australian selection, he also was able to net his first premiership, coming third in Norm Smith Medal voting in his sides’ 119 point win over Port Adelaide. Brian Lake rounds out our backline for his 2010 season. 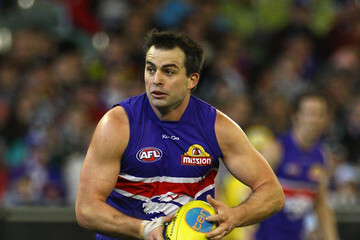 Playing for the Western Bulldogs at the time, Lake was able to consolidate his position as being one of the top defenders in the AFL by winning his second straight All-Australian award, helping his Bulldogs side to the Preliminary Final. Lake would even go on to achieve more accolades in the future, claiming the Norm Smith Medal in 2013 for Hawthorn, however, Lake’s 2010 season still stands out as one of the best defensive performances of the 21st century so far. 2011 was arguably Murphy’s best season at the Western Bulldogs, earning him an All-Australian selection on the Half-Back Flank and a second place finish in the Bulldogs’ best and fairest award behind captain Matthew Boyd. Murphy averaged 20 disposals and a career-high 5 rebounds per game in 2011, making him a worthy addition to our “Team of the Century”. Despite missing five games due to injury, the now Richmond vice-captain was able to make 2014 his breakout season, earning his first All-Australian selection for a stellar season despite missing a significant portion of the season. Rance averaged 17 disposals and 3 tackles from the defence in a season that set him on the path to becoming one of the league’s top defenders. Birchall rounds out the half-back line with his outstanding 2012 season, where he averaged 23 disposals a game and went at a remarkable 85% disposal efficiency, form which was rewarded with his first All-Australian selection. Birchall would go close to claiming the 2012 premiership with the Hawks, narrowly falling to Sydney, however, Birchall would feature in the club’s next three premierships in 2013, 2014 and 2015 respectively. In just his third season of AFL football, Judd showed the football world the full extent to his talent, combining with West Coast captain Ben Cousins in the midfield to yield arguably his best season in AFL football. The young Eagle claimed his first Brownlow Medal, Best and Fairest award and All-Australian selection after averaging 22 disposals and just over a goal a game, truly establishing himself as one of the games’ elites. After leaving Adelaide the year prior, Dangerfield showed Crows fans what they were missing out on by producing one of the greatest individual seasons in the 21st century so far. 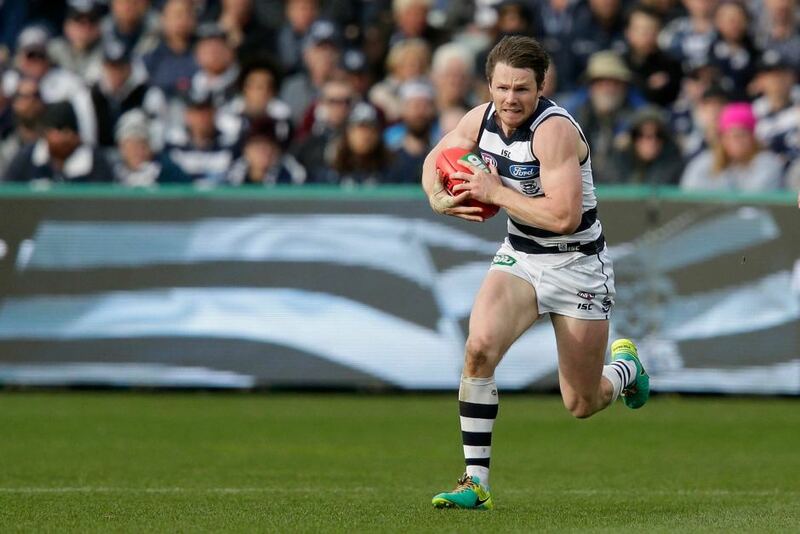 Dangerfield polled a then-record 35 votes to claim the prestigious Brownlow Medal as the league’s best player, along with Geelong’s best and fairest award to truly pull off a remarkable start to his career at the Cats. Rounding out the centre line of our “Team of the Century” is Adam Goodes, who in 2006 won his second Brownlow Medal, backing up his 2003 victory. Goodes proved himself as a vital part of the Sydney squad that won the previous year’s premiership, averaging 20 disposals and a goal, form that would help Sydney to yet another Grand Final appearance. Gawn has averaged a career-high 45 hitouts a game in 2018 in what possibly has been one of the best seasons by a ruckman in recent times. Gawn’s 2018 success has been rewarded with All-Australian selection and the AFL Coaches Association award, which could see him as a contender for other awards in the coming weeks such as the Brownlow. After leaving Geelong for the Gold Coast in 2013, Ablett brought home his second Brownlow Medal in emphatic fashion to give the Suns their first recipient of a major award, averaging 31 disposals a game in a truly elite season. Ablett also earnt the Leigh Matthews Trophy as the AFLPA’s MVP, while also gaining his seventh All-Australian guernsey in his third season on the Gold Coast. So much has been said of Martin’s incredible 2017 that miraculously lifted Richmond from the AFL’s doldrums. Martin won every individual award there was to win to go with his premiership medal in 2017- the Norm Smith Medal, Brownlow Medal, AFLPA MVP, AFLCA award, Jack Dyer Medal and All-Australian selection, all were snagged by Martin, who lead all comers by polling the most votes in a season in Brownlow Medal history (36). Truly a spectacular season and worthy of inclusion in this team. One of the game’s most skilful players, Melbourne veteran Adem Yze slides into our “Team of the Century” on the half-forward flank thanks to a stellar 2002 season. Yze lead the league in 2002 for kicks as he drifted through the midfield and forward line for Melbourne, averaging 23 disposals and a goal for the Demons, performances which would be duly rewarded with the All-Australian selection and a top-five finish in the Brownlow Medal. Another incredibly skilful player, Jason Akermanis joins our team thanks to the break-out 2001 season that helped establish him as one of the game’s elite. In an incredibly talented Brisbane Lions midfield that would go on to claim three successive premierships, Akermanis shone brightest in 2001, winning the prestigious Brownlow Medal while also earning All-Australian selection, averaging 21 disposals and a goal for the premiership-winning Lions. The Fremantle superstar became Fremantle’s first Brownlow Medal winner in 2015, after carrying the Dockers to a Preliminary Final despite having fractured his leg. Fyfe averaged 28 disposals, four tackles and nearly a goal a game in a form which helped the Dockers to their first and currently only minor premiership, also giving Fyfe an All-Australian selection and the Leigh Matthews Trophy as the AFLPA MVP. The controversial former Sydney captain had a season to remember in 2005, captaining the Swans to their first premiership since 1933, while also managing to boot a career-best 80 goals to go with a personal best of 16 Brownlow Medal votes. Hall also earned All-Australian selection in what was arguably his best season across his intriguing 289 game career. After an interrupted 2002 season due to a finger injury, Lloyd bounced back to form in terrific fashion with a colossal 93 goal season at an average of 4.2 goals a game, earning him his third Coleman Medal to go with an All-Australian selection at Full Forward in what was an impressive 2003 season. 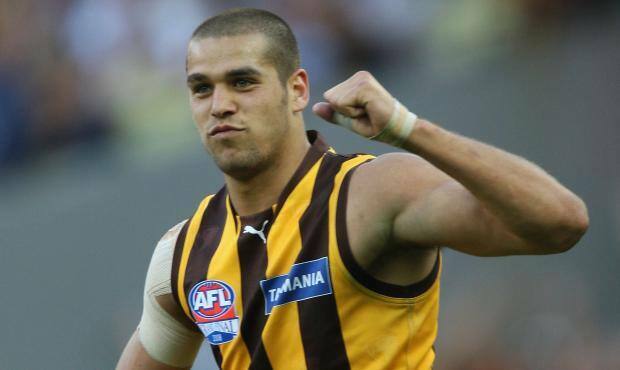 Franklin dominated the 2008 season up forward for Hawthorn, winning the Coleman Medal and becoming the most recent player to kick 100 goals in a season, registering the feat in the final round of the season against Carlton. After a solid 2007 season, Franklin’s 2008 really put him on the map as a player that opposing teams could lose sleep over.